St Augustine's Catholic Church in Downend, Bristol, have adopted ABCD as their international project for the year and have held numerous fundraising events to promote and raise funds for us. 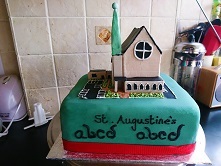 ​​​​The lovely people at St Augustines have had cake sales galore for ABCD. And we are not talking any old cakes! 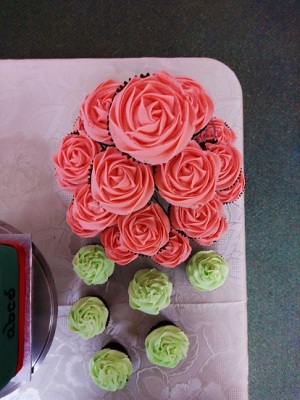 This talented group put The Great British Bake Off to shame with beautiful cupcakes and the amazing ABCD showstopper! The cake was an exact model of their church, even to the correct number of parking spaces outside , the correct number of bars across each window and the green spire of the church. ​But their generosity and support did not end there. 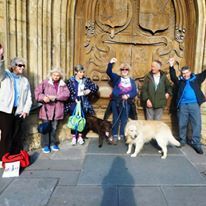 As well as cake sales, St Augustines also embarked on a sponsored walk from the doors of their church to the doors of Bath Abbey, 14 miles away. The walk was led by 73 year old Maureen Merrifield. Just brilliant! ​The total amount raised for ABCD during 2016 was an astonishing £3297.72. Thank you to all who participated.